Sometime during the early 1980s, the BBC broadcast a series of television plays in a retrospective of the work of Dennis Potter. Along with well-known productions such as Blue Remembered Hills, a number of Potter's contributions to 'The Wednesday Play' from the 1960s were shown. One of these was Son of Man. I had been too young to see the original broadcast in 1969, but as a teenager watching the BBC's tribute to Dennis Potter I was taken aback by the portrayal of Jesus in this play. Here was no "Gentle Jesus, meek and mild" but a man to be contended with, who showed his frustration when people misunderstood his message. Colin Blakely is an earthy Jesus, a leader of ordinary people with an urgent Gospel to tell. This portrayal made me reassess a figure which I had been taught about throughout my upbringing, and it put me onto a journey of new discovery. Over the years I have talked to others about Son of Man and its impact on me, but was unable to share the play with them because it has not been screened in public for many years. So I was delighted when the opportunity arose to show it as part of the Flatpack Festival in partnership with The Church at Carrs Lane. Since last September, each month The Church at Carrs Lane has been showing films depicting the life of Jesus from different times and cultures. The screening of Son of Man on 25th March will be a highlight in that series. 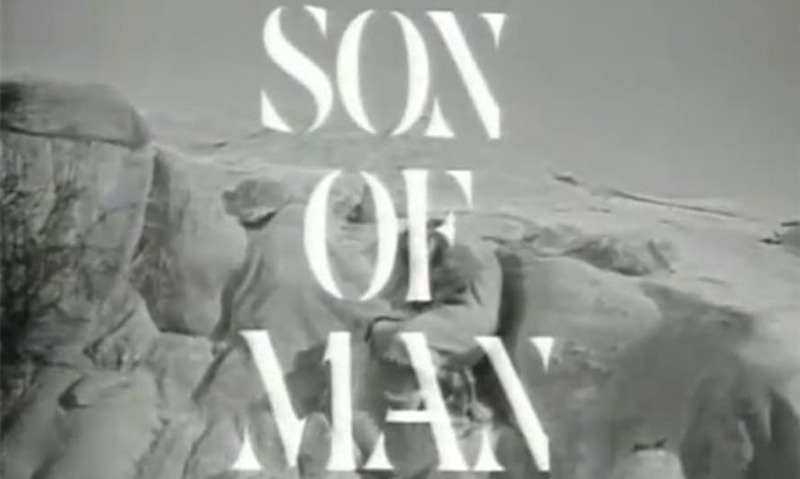 Son of Man: a drama to be contended with.